Life is too short to live in an uncomfortable space. You definitely don’t need your house to look like it came out of the pages of a magazine, but I think it’s vitally important to surround yourself with things that make you relaxed and happy. And guess what else? You DON’T have to shell out the big bucks to create a warm and welcoming home. Over the last year or so, I have redecorated a large portion of my house, and I’ve spent very little to do so. My little house is decorated in a mixture of styles: rustic, farmhouse, vintage, and shabby chic, just to name a few. It’s eclectic, but it’s ‘me’. One of my absolute favorite ways to outfit my home is to scour yard sales and thrift stores for old pieces that I can re-purpose and give new life. Today I want to share a simple idea for a wall hanging that anyone can create. It can add farmhouse charm to any living space, no matter if you live in an apartment or out in the sticks. There is just something about chicken wire. 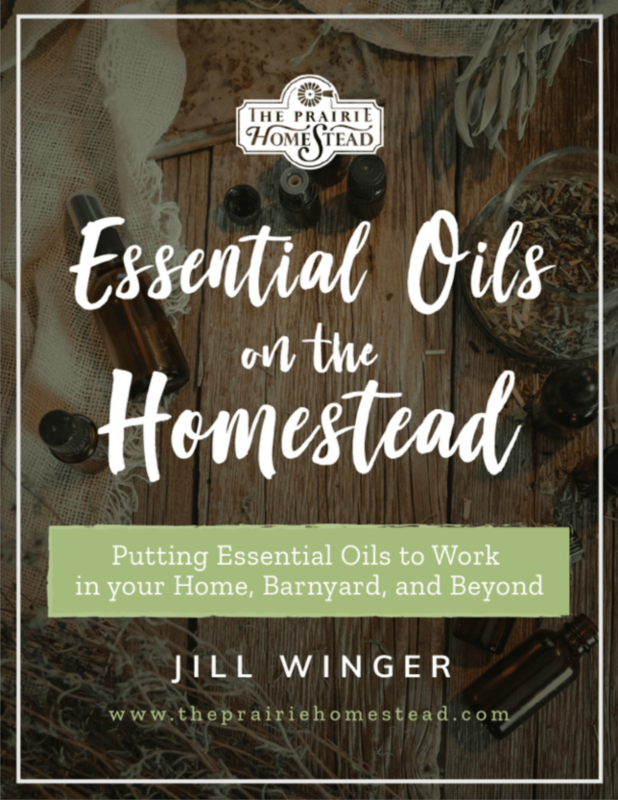 It’s so simple and primitive and rustic… I can’t get enough of it! 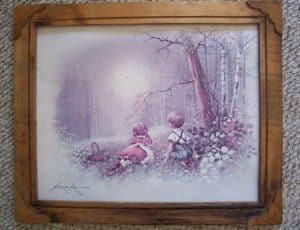 Remove everything from the frame (glass, backing, picture, etc) except the, well, frame. If you wish, paint your frame with a light coat of paint. 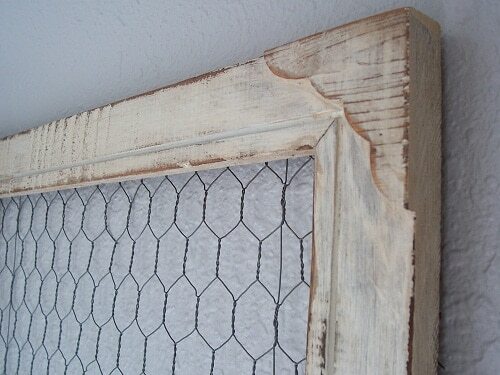 Once it dries, you can lightly distress it with sandpaper to give it an aged look. 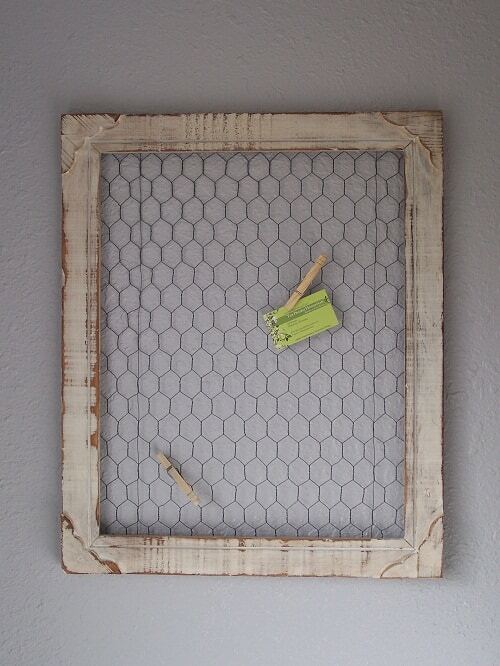 Cut a chunk of chicken wire that is roughly the size of your frame. Staple it to the back of the frame. Trim if needed. Use clothespins to clip notes to the wire for an instant message board. Leave it bare and hang it as a simple, rustic wall accent. 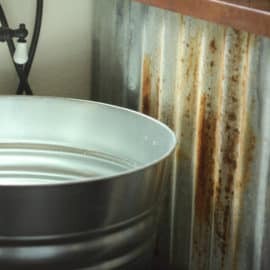 Once you’ve painted and sanded your frame, try rubbing a small amount of wood stain over the top of the paint for an extra bit of “distressed” flair. 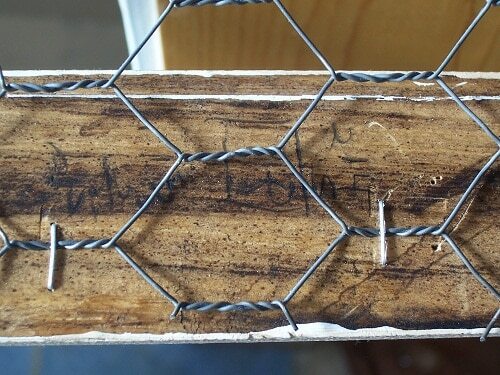 Choose a wooden frame so you can staple the wire easily onto the back. The wider the frame, the easier time you will have with the stapling process. Be on the lookout at yard sales and thrift stores for old frames. Don’t be afraid to purchase a piece of undesirable ‘artwork’ just for the frame! I think my mom had that picture hanging in her home in the 80’s…ugh! that is over isn’t it? can’t wait to see what else you’ve done on the *cheap! I have decorated with chicken wire before. Love this idea. I think I will make a couple for some friends for their birthdays. I’m looking forward to seeing what other wonderful ideas you have in store. 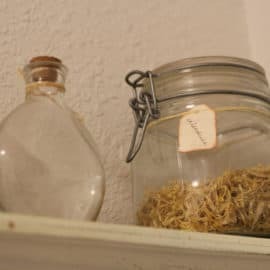 I LOVE the idea of using it for herbs. Good thinking! i like that about useing it to dry herbs, really neat. What a wonderful makeover!! Congratulations! I absolutely agree with you: we have to surround ourselves with things we love and things that recalls happy moments of our life or beloved ones. I’ve really loved this post! Oh, I love it! I have some old frames I want to do this to! Thanks for sharing! 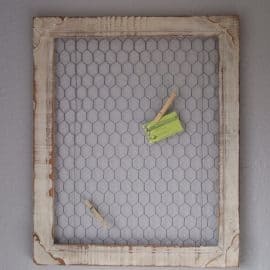 I just finished a re-purposed (trashed) window frame project (no glass panes)- and I think adding chicken wire to it will take it to an excellent new level! Thanks for the idea! When I finish, I’ll post a link back to your post! Oh yes, window frames are even better! You go girl! That’s adorable (and easy!). I think it would make a great photo wall using clothespins! Oh, I love what you did. And, yes, we are trying to simplify, too. And, the more rustic, the better. I enjoy anything farm house, or country. 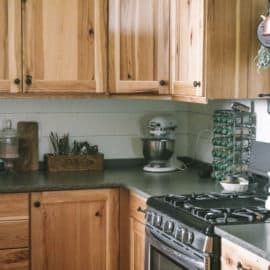 I have put chicken wire on top cabinets of a corner kitchen cabinet. 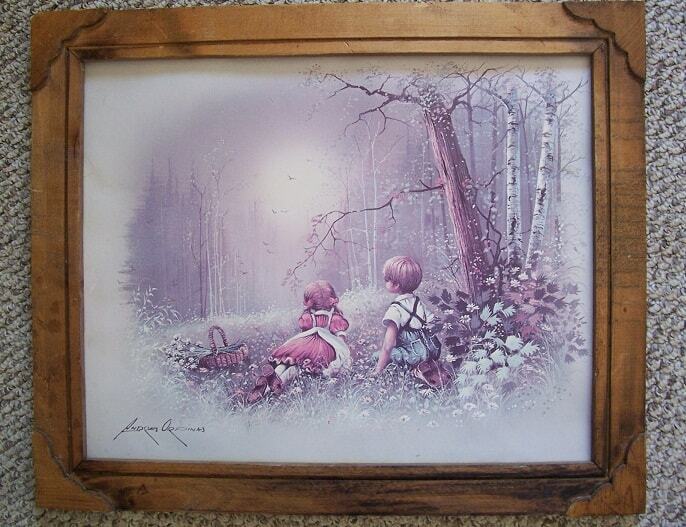 THIS FRAME would also look great with a few chicks or a chicken painted behind it too. 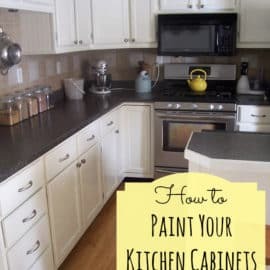 I’m hoping to finally start decorating our kitchen this year, and I think I just might have to make one of these! All I can say is… Love it! Wow! What a total transformation of this frame! It looks great! I love these! I made one for my bedroom. Yours looks awesome! 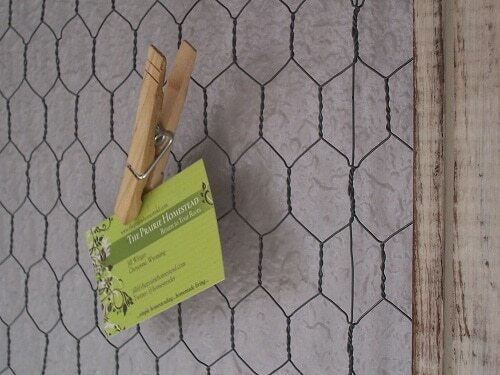 Love this idea and I see myself buying chicken wire soon! Thank you for sharing. I have chickens and roosters in my kitchen this would go perfect in my house! I love this project. I think I have some frames that could be used in this way. Thanks for sharing your idea. Your frame really looks great and fantastic tutorial too, thanks! 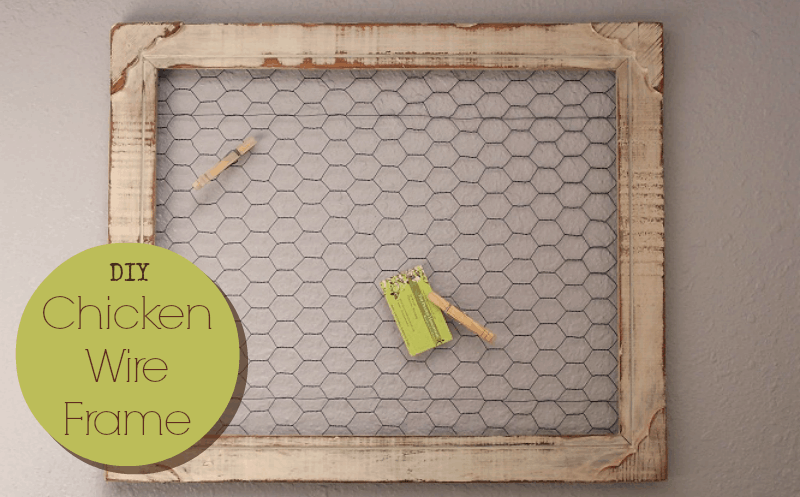 I’ve got this linked to my chicken wire post too today, well done! WHAT a perfect makeover! I love it! I am wanting to get my husband to make me a pie safe. On the doors, I want the chicken wire, but behind that I want some screening to keep flies, if they get in the house, out of it. Thank you so much for sharing this with us! I am falling in love with your site! Cute idea. This would be cute idea for a 4-H project too. Hook a small picture hanger (the one that comes with the nail) onto the wire and use the chicken wire frame for necklaces, earrings, etc. I got a large mirrored frame at Homesense for a great price someone had broken the interior mirror. Keep your eyes open for large frames never know were you will find one.